GUYS! I've been dying to share this look with y'all ever since we took these pictures on the beach in Hawaii. 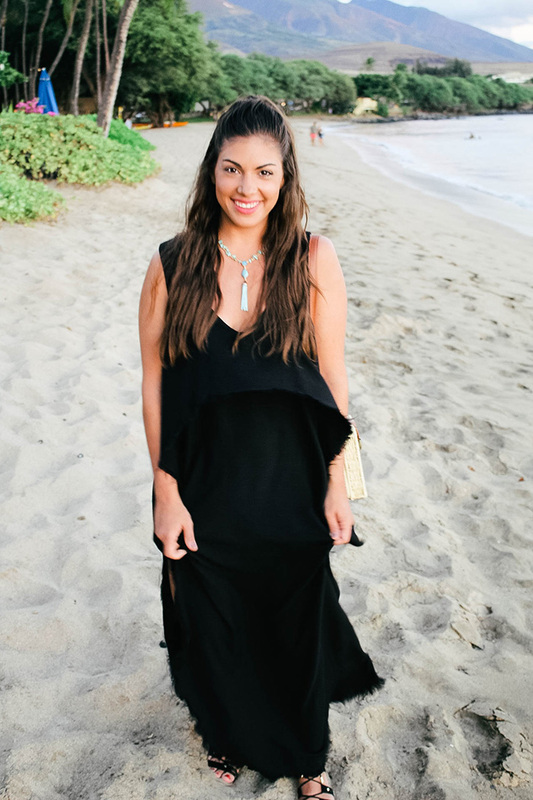 Golden hour in Maui is the dreamiest time of the day and my sweet photog husband captured some of my favorite pictures to date. I mean, look at the scenery here! Unreal. I'm also so excited to share this dress that I am absolutely in love with! This flowy maxi dress is from my friends at Tobi and was one of my favorite things I wore all of vacation. 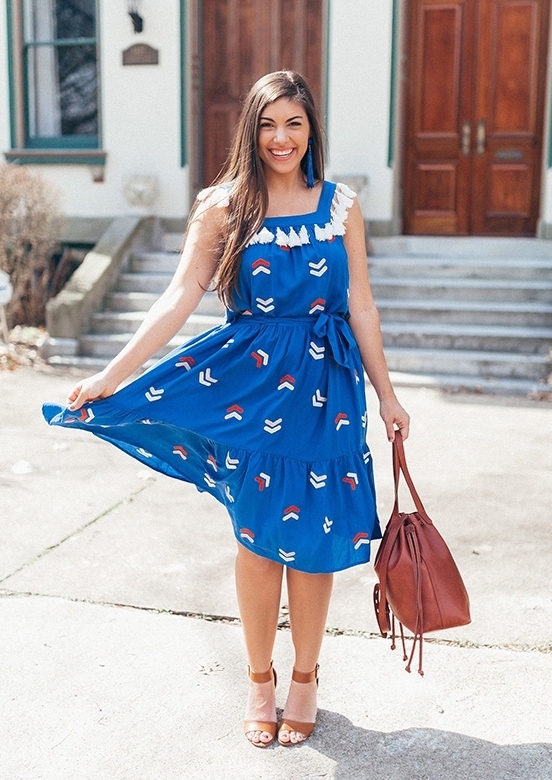 The dress has these amazing asymmetrical sides that cascade down for the most breezy and flowy effect ever! I also love the V neckline and deep V in the back. Such a romantic style! 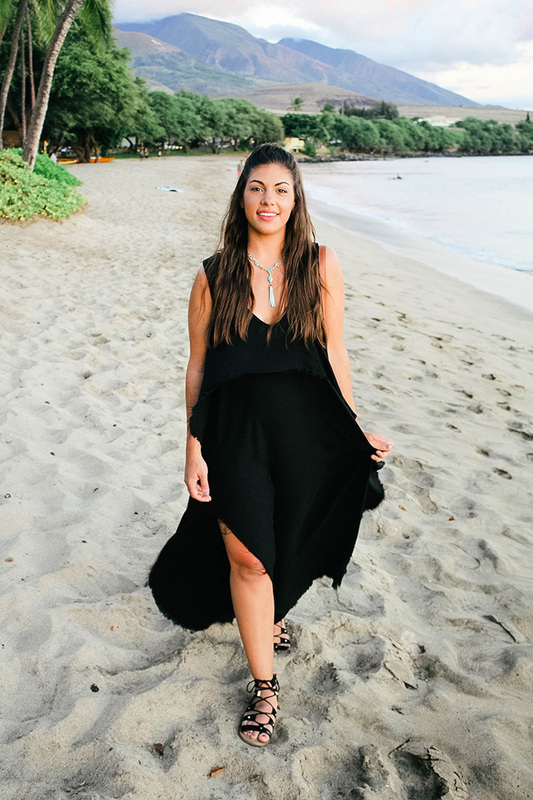 I love this drop maxi dress because it could easily be dressed way up or worn casually depending on how you accessorize it. I landed somewhere in between with this look, as I paired one of my favorite necklaces and lace up sandals with it. It also comes in 2 other colors and I can't begin to tell you how soft the material is! (Oh and did I mention all 3 colors are on MAJOR sale right now!?) I felt so comfortable wearing it all night as we walked along the beach during sunset and then went to dinner. I'm also kind of obsessed with the raw edge hemline, which is so on trend right now! Post created in collaboration with Tobi. All thoughts and opinions are my own!